The wall newspapers that accused that the King hides female shaman in the king’s bedroom and that the clique of Great Empress Dowager Yoon murdered ex-crown princess are pasted side by side. Everyone believes that it’s a conspiracy of Yoon clique, doubting its reliability. Bo Kyung who has a premonition that her father Yoon Dae Hyung is going to abandon her, wants to warn Lee Hwon about the impending rebellion. 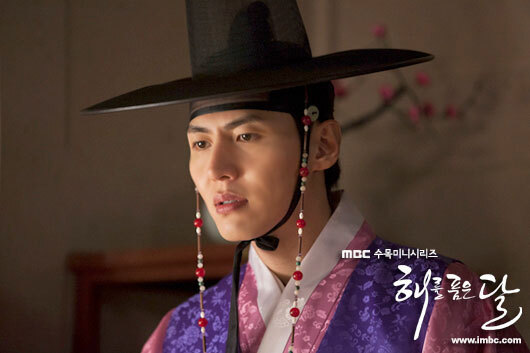 While on the way to look for Hwon, she catches the sight of Hwon who stood intimately close with Yeon Woo. On the other hand, Bo Kyung summons the ex-state shaman Kwon-si who was expelled from Seongsucheong, orders her to cast black magic on Yeon Woo, and promises her the position of state shaman.